The planes were sent to “fulfill technical military contracts”, Russia’s Sputnik news agency reported. “The Venezuelan Minister of Culture unveiled telephone conversations between leaders of the right planning violence against the country. ‘Maduro: US Withholding $5bn of Medical Supplies in ‘Criminal’ Measure; Maduro’s accusations came at a government re-launch of the pharmaceutical sector’, March 21, venezuelanalysis.com. “The US government is withholding US $5 billion which was meant for the purchase of medicines and raw materials used in medical production, President Nicolas Maduro claimed Wednesday. 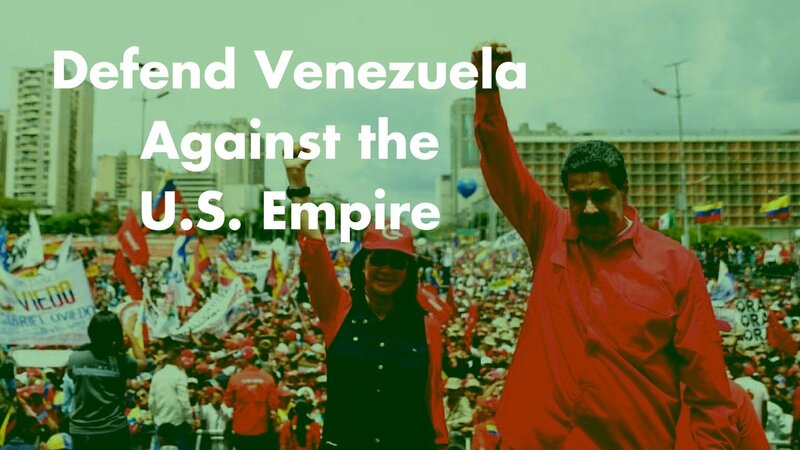 “The US Treasury has imposed sanctions on Venezuela’s Economic and Social Development Bank and on four other institutions affiliated with it, calling in its statement for the release of Juan Guaido’s Chief of Staff Roberto Marrero. While the move came as official US retaliation for Caracas’ targeting the associates of the wannabe president, US Treasury Secretary Steven Mnuchin painted the Bank – known under its Spanish acronym BANDES – as the most vile organization and definitely worth sanctioning. 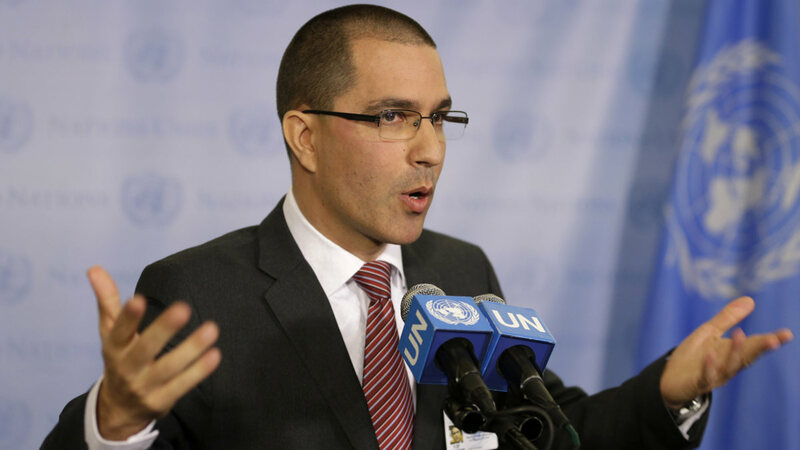 “Venezuelan Interior Minister Nestor Reverol gave a press conference on Thursday afternoon in which he claimed Marrero led a “terrorist cell” that was planning attacks against public institutions using foreign mercenaries. “Marrero was the person responsible for organizing these criminal groups,” Reverol told reporters, adding that a number of weapons as well as foreign currency had been seized. He added that the operation was done in coordination with the Attorney General’s office, and had a court-ordered arrest warrant. Marrero’s bodyguard, Luis Alberto Paez, was also detained in the operation, according to reports. According to local witnesses at the time of the arrest, Marrero claimed that the weapons had been planted in his apartment. The arrest drew a swift response from opposition leaders and US officials. “Trump reiterated the mantra that “all options are on the table” against Venezuela. Bolsonaro was asked if he would permit US soldiers to use Brazilian soil as a base for military operations against Venezuela. Rather than dismissing that prospect as a violation of both Brazilian and Venezuelan sovereignty, he declined to answer, citing the need for maintaining operational secrecy and the element of surprise. You may also remember that NATO had also admitted Colombia as a partner to the shining repurposed Cold Was 2.0 organization. This entry was posted in capitalism and anti-capitalism, empire and war crimes. Bookmark the permalink. Woow is this your article? yes, wd put this together; welcome to the café. yes, be sure and bring the title and link, maybe a teaser or two to add to this thread. a pleasure to meet you, onyango spines. it’s closinhttps://www.youtube.com/watch?v=QyX82K7CgoEg time for me, a long, long day here. tonight’s lullaby will be mr. wd’s favorite playing for change cover of rasta peter tosh’s brilliant song. the rasta called the western hegemon ‘the great satan, babylon’. jah is the ratafarian name for god. sleep well, dream well; g’ night.